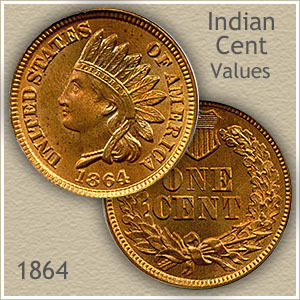 Your 1864 Indian head penny value can vary widely. Three different varieties were minted in 1864 each unique and worth discovering. A major change accrued with the metal alloy of the penny. The copper-nickel variety, the type minted since 1859 is replaced by the bronze alloy cent. Now there are two very different coins for this year. Finding the copper-nickel type is the prize, far fewer were produced and of special interest to collectors. Should your coin be the bronze alloy there is still the possibility of high value. Discovering the rarest variety, a magnifying glass is helpful. On just a small part of the mintage included in the design is an "L" representing the designer’s, James Longacre initial. The "L" is a subtle detail tucked deep into the design and easy to overlook. A close up of its location is pictured below. Three sought after varieties in one year, the copper-nickel, bronze and the 1864 penny with "L" variety. All are considered a necessary part to complete an Indian head cent collection giving them special value. 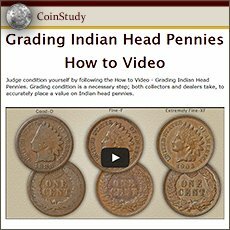 Two of the major varieties determine your 1864 Indian head penny value and are identified by the metal alloy used. The least common, copper-nickel type, minted since 1859 was replaced by a bronze alloy. At first appearance your 1864 penny may seem to have a slightly lighter and different color when compared to other old pennies. This is a good indication yours is the copper-nickel alloy variety, the rarer of the two alloys. Color of bronze 1864 pennies is a darker red shade and copper-nickel cents a paler yellow. Also copper-nickel pennies are noticeably heavier and slightly thicker than the later bronze Indian penny. Compared to a modern post 1982 penny, the weight is almost double. With the difference in color and a large difference in weight a valuable copper-nickel penny is evident. Finding the rarest of the three 1864 penny varieties requires spotting a small detail as part of the bronze coins. On the majority of bronze alloy coins minted in 1864 the designers initial was not included in the design. Added late in the production a small "L" is visible behind the hair on her neck. Examine the area just to the right were the ribbon crosses the hair. Note: In relation to the rest of the design the "L" is in a horizontal position pointing down. There is a lot of interest in the Indian series as a collectible. And certain years such as your 1864 penny stand out because of the different varieties. 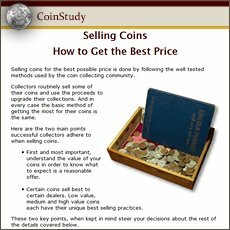 Your coin is an important part to any collection and with solid value. A very popular coin, everyone understands and has heard of the value of an Indian Head penny. Common dates are now worth more than 90 cents each. Many collectors are building collections and putting a heavy demand on the rare dates and better condition coins. 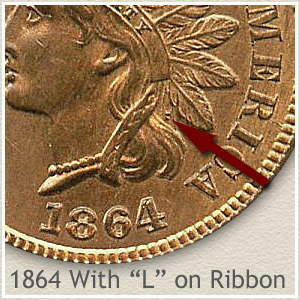 Find not only your 1864 Indian head penny value but all dates in the series are listed on the chart.